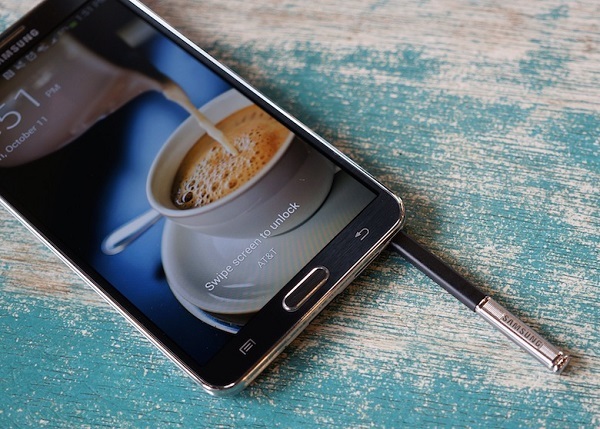 Welcome to the 74th part in our series of troubleshooting articles dedicated to the Samsung Galaxy Note 3. This 5.7 inch smartphone is still quite popular today despite being released last 2013. It was released originally running on Android Jelly Bean however Samsung has already released the official Android Lollipop update for this phone. Those who have already updated their devices to Lollipop are quite pleased with the results however there are some owners who are having issues with their phones after getting the update. This is where we come in as we try to help our readers resolve the issues that they have with their phone. Problem: My note 3 isn’t allowing me to take screenshots anymore I believe after the last software update. Please help me correct this issue as I use that option. A lot for work. Thanks. Solution: You can take a screenshot in Lollipop using the S Pen. Make sure that Air Command is active first. To take a screenshot take out the S Pen, the Air Command menu should pop out. Tap on the picture and pen icon to the right to take a screenshot. Another method is by simultaneously pressing the Home key and the Power/Lock key on your device until a white border flashes around the edges of the screen. You can also use motion and gestures to take a screenshot. From the Home screen, touch Apps Icon. Note: To switch to the tab view, touch Menu > Switch to tab view. Touch the slider Off to turn Palm motion on. Touch the Capture screen slider to turn the swipe to capture feature on. Problem: Hi! Im still having problems with my note 3 cant connect with the wifi, cant even scan wifi network.. The wifi grey out. I had already tried to restore factory settings and follow all the intsructions on your site. Still can’t use my wifi on my note 3. Please help me regarding my issues.. Thanks! Solution: If after performing a factory reset the Wi-Fi is still greyed out then this may already be a hardware related issue. You will have to bring your phone to an authorized service center and have it checked. Problem: Hi there: I have looked thru your troubleshooting guides but didn’t find what my issue is. Man there are a lot of issues !!! My issue is with my CTV GO app. It worked flawlessly before lollipop update. I have uninstall it them reinstalled it twice. The issue is when I try to watch a video it tells me that my app settings state that I like to watch videos while on WiFi. My WiFi is on. When I go to settings I can’t click on app settings to change this. My global app works fine. Thanks in advance. Solution: This appears to be an issue with the app itself. You can try to wipe the cache partition of your phone and see if this resolves the issue. When ‘GALAXY Note III’ appears on the screen, let go of the Power key but continue to press and hold the Volume Up key and the Home key. If the issue persists then you will have to check if a new version of the app is available at the Google Play Store that may have a fix to this issue. Problem: Howdy! I found your email on the website https://thedroidguy.com/2015/03/samsung-galaxy-note-3-problems-after-lollipop-update-and-how-to-fix-them-part-64-104878#r4CMwGtcdkDrUYZV.97. I’m emailing in regards to the WiFi issues I’ve been experiencing recently since upgrading to the Lollipop update and could really do with some advise please? I didn’t really notice an issue with the phone until I tried to access an application through my phone (I never have Mobile Data activated due to low allowances) and couldn’t due to the WiFi not being activated. When I click to activate it, it just thinks about it and turns back off – I can provide screenshots if needed 🙂 This also happens through the Settings too. I slide the switch to turn on, it remains greyed out and then turns back off. I can’t connect to anything to even attempt to find a network. Solution: In this case you will have to perform a factory reset. Make sure to back up your phone data before proceeding. If this issue is software related then it will be resolved by now. However, if the issue still persists then it may already be hardware related. You will have to bring your phone to an authorized service center for checking and repair. Problem: Hi, i’m using Samsung note 3 since the past 3 months…..of late it has started bothering me as the camera gets switched on automatically whenever I receive a phone call. Plz help. Solution: Try to check first if this may be caused by the accidentally pressing of the camera shortcut key. If you have a camera shortcut in your home screen then try to delete it first and see if the issue still persists. If it does then the next thing to do is to wipe the cache partition of your phone. If this issue is caused by a certain third party app installed in your phone then you should start your phone in Safe Mode and check if the issue still occurs. If the issue does not occur in this mode then it is most likely caused by a third party app. Find out what app this is and uninstall it. One final troubleshooting step that you can do is a factory reset. Back up your phone data before performing this procedure. Problem: Hi there, I recently upgraded to lollipop on my SM-N9000W8 Note 3, Android Version 5.0, kernel 3.4.0 – 4348112, Knox version 2.3. Solution: For the input issue while in Knox try wiping the cache partition of your phone as this may just be caused by corrupt data. For the pop up issue of BBM I suggest you uninstall the BBM app then install a fresh one from the Google Play Store. Solution: To take a screenshot using your S Pen make sure to tap the picture and pen icon of the Air Command menu. Open Air Command by holding the S Pen about a quarter-inch above the device’s screen. Press the button on your S Pen to open the Air Command panel. Touch “Screen write” with your S Pen. Problem: I’ve updated my Samsung Note 3 to the Lollipop software, I’ve been getting an “unauthorized actions have been detected” message that will not go away no matter what….. I keep deleting the security app but it keeps popping back up…. please help. Thank you. Solution: This appears to be a Knox related issue. You should check if there are any new security updates available and install it. Go to Settings > More > Security > Security Policy Updates > Check For Updates. Problem: Hi, I went to open my Samsung Link App upon opening an update box came up saying Samsung Link needs to be updated for optimazation otrherwise, the normal operation of your phone may be affected. Then another box comes in before I can press the update (see screenshot) that says Incompatible platform version -Update platform apk I have a Samsung Galaxy S3 Note. I am on lollipop 5.0 Don’t know if this had anything to do with the update of lollipop. How can I get the app to work. Solution: Several other Note owners are also experiencing this same issue when they upgraded their phone to Android Lollipop. Try to uninstall the app or its update then either download a fresh version from the Google Play Store or leave it as it is. If the issue persists then you will have to check when the next version of the app will be released as it may already come with a fix to this issue. Problem: I have moved my number from one company to another . My Samsung note 3 was working fine . Put in the new sim and now it wont work . When I am making a call …. the reply is…..this phone is blocked . The sim and phone are from the same company. Solution: Try placing in another SIM and see if the issue still remains. If you still have your old SIM then try it as well. If the problem persists then you should contact your carrier and have them check your account. They may have placed an IMEI block on your phone. If this issue isn’t SIM or network related then you should consider doing a factory reset. This will help resolve any software related issue or corrupted IMEI that may be causing this. Make sure to back up your data before proceeding. Check your phone IMEI by pressing *#06# on the phone dialer. If it is a valid IMEI then you can now use your phone. If it is an invalid IMEI then this may already be a hardware related issue. Bring your phone to an authorized service center and have it checked. Problem: I got a Galaxy Note 3 from someone else and they told me that the LCD or LED fluid is leaking in the phone. When I charge it I can see the red light that means the battery is dead but I can’t see the screen. It’s not cracked or broke. HELP I’M CONFUSED!!!!!! Solution: The display of your phone is broken causing the liquid to come out. You should bring your phone to an authorized service center and have the display replaced. Solution: Where are the photos stored? If they are saved in the microSD of your phone then consider getting a new one as the one you are using may already be faulty causing your photos to get corrupted. If your photos are stored in the internal storage space of your phone then try to wipe the cache partition of your phone first and see if the issue gets fixed. If the problem persists then back up your phone data and do a factory reset. Solution: The sign in failed error message may be caused by a wrong password or setting in your email account from the stock email app. Try to delete your email account then recreate it with the correct settings. If you prefer to access your email from the Gmail app then just delete your email account from the stock email app and don’t recreate it. Problem: For the past couple of weeks I have been missing random call and texts…AT&T said my calls were forwarded and then un-forwarded them (I’m clueless how that happened) however they said Samsung knows about the missing random texts issue and will send out a fix soon, still nothing. I am still missing random calls and texts…please help! Solution: Wipe the cache partition of your phone and check if you are still experiencing missing text messages. If the problem still persists then the next step is to check if a certain third party app is causing this issue to occur. To check if this is the case you should start your phone in Safe Mode. If the problem does not occur then it is most likely caused by an app you installed in the phone. Find out what the app is and uninstall it. Solution: This may be caused by an issue with the app itself. Try clearing the cache and data of your Facebook app then check if the video still freezes. Scroll to and tap the Facebook application. If the issue still persists then uninstall the Facebook app and install a fresh version from the Google Play Store. Problem: Hello, I am a frequent follower of Dripper. I have a problem with my Samsung note 3 LTE – updated with android lollipop under Verizon. My Gmail is not getting synced when I am on LTE. As soon as I connect to WiFi.. my mails are getting synced. I enabled all the relevant settings for syncing the account but no use. Please help me to fix it. Thanks. Solution: In some cases your phone may be connected to the LTE network but there is no Internet connection. Try to check first if you have an Internet connection while your phone is connected to the LTE network. You can do this by opening a website or accessing your social media apps. If you have Internet access while connected to your LTE network then start checking with the Gmail app by clearing its cache and data. Remember all settings will be lost after performing this procedure. You will have to setup your email again. Scroll to and tap the Gmail application. If the issue persists then try wiping the cache partition of your phone. Problem: Verizon note 3 on page plus, im having a hard time getting the software on the note 3 to update. There is a new version out as of match 24th, 2015. But for some reason my phone won’t update, any help on that?? Solution: You have to make sure first that your phone is not rooted and is still running on stock software. If both requirements are met then you can use Kies to update your phone software if the OTA method fails. Tap Developer options, if available. Problem: After updating to lollipop I no longer have an option to scan a business card without a third-party software program. did the update remove this option.? by the way I have read most of your articles and they are awesome keep up the good work. Solution: It looks like the business card scanning app may not be included in the Lollipop update that you have. Just replace this with any third party app that you prefer since this also gets the job done. Problem: Hello, I recently acquired my note three and soon as I logged in to YouTube I got the notification that “Google play services which some of your applications rely on is not supported by your device. Contact the manufacturer.” I didn’t think it was much of a big deal because I was only getting this notification when I tried to use YouTube(which I substituted with Vimeo). I later tried to install snap chat (and I am told that note 3 is the greatest smartphone to snap chat on) but I got the same notification. I went to the droidguy.com and found that I wasn’t the only one with this problem (much to my relief.. I’d thought I’d screwed up my phone). I read the troubleshooting part but I didn’t get what to do. I totally can’t get what to do. Clearing the cache and data?.. Please help me out. Solution: Listed below are the troubleshooting steps you should do to resolve this issue. Proceed to the next step if the issue still persists. Turn off the phone then remove the SIM card. Go back to correcting the time. Problem: Hello, my Galaxy Note 3 has hidden ALL of my downloaded files, from pictures to music. My computer shows me that they are indeed saved on the phone and my memory storage ammount hasn’t changed since it happend. Any downloaded images simply do not appear on my gallery, my music player (default and downloaded) do not show nor play my music. Please help. Solution: This may just be a glitch in your phone software. Try wiping the cache partition of your phone to resolve this issue. If the downloaded files still remain hidden then start your phone in Safe Mode to check if the issue is caused by a third party app. If you can view your downloaded files in Safe Mode then the issue is most likely caused by a third party app. Find out what this app is and uninstall it. Problem: Hi, Recently my Note 3 started misbehaving and automatically activating the back and menu touch buttons (the ones on either side of the physical button). The activation of those buttons happens sporadically and sometimes it’s a large sequence at once whereas other times it’s occasional. I tried booting up my Note into Safe Mode as well as a factory reset but neither worked. I ran an antivirus scan on both my apps and files using Lookout and Avast but both said there was no virus, malware, or spyware. May you please help me solve this problem? Solution: I’m afraid that this may already be a hardware related issue. You need to have your phone checked at an authorized service center. Problem: Hello, There I’m having this problem since upgraded to Lollipop. Whenever I call to any company which asks me to enter 1 for English or for more option press whatever number is… and I enter any number there is no response. The machine keeps telling me enter number. I think dial pad numbers is not responding when press them however they do appear on the screen. Sending you pics. Thank you for help. Solution: This issue may be caused by a corrupt Phone app. Try clearing the cache and data of this app and see if the issue gets fixed. Scroll to and tap the Phone application. Solution: You have to make sure first that your phone is not rooted and is still running on its original stock software. If it is and you are still getting the error message when trying to update then back up your phone data and do a factory reset. Check and see if you can now update your phone. If you still can’t get the latest update then use Kies. Solution: This issue is usually caused by dirt or lint getting into the charging port of wither the charger or the phone. Take a toothpick and clean the charging port of your wall charger and your phone and see if this resolves the issue. If you still get the same error message then try to use a different wall charger. Solution: Try clearing the cache of your S Note app. Scroll to and tap the S Note application. Feel free to send us your questions, suggestions and problems you’ve encountered while using your Android phone. We support every Android device that is available in the market today. And don’t worry, we won’t charge you a single penny for your emails. Email us at [email protected] We read every email but can’t guarantee a quick response. If we were able to help you, please help us spread the word by sharing our posts with your friends. I have a note 3 and neither knox or my knox I’d working… it’s getting me really worked out.